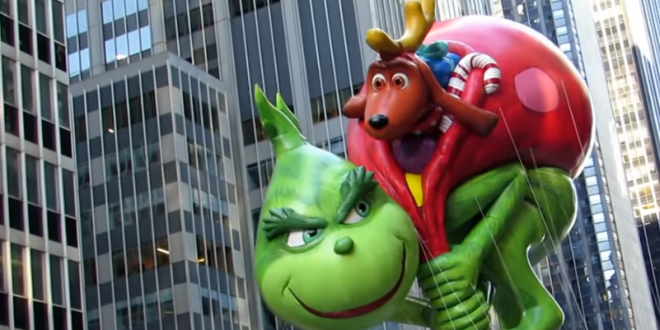 Arctic Blast Forecast Imperils Macy's Parade Balloons - Joe.My.God. Another blast of cold air is expected to bring one of the coldest Thanksgivings on record for some Northeast cities. A strong area of high pressure from the Arctic Circle will descend southward across Canada and into the Northeast, sending temperatures plummeting toward levels you might expect on New Year’s Day, not Thanksgiving Day. If sustained winds exceed 23 mph and gusts surpass 34 mph, none of this year’s 16 character balloons will be allowed to soar due to city regulations, Macy’s Thanksgiving Day Parade spokesman Orlando Veras told The Post. It would be the first time the city has grounded the colorful balloons since 1971. In 1997, a woman was left in a coma when a powerful gust of wind caused the Cat in the Hat balloon to strike a streetlight, which fell and hit her head. Overall, Thursday’s low temperature is expected to be 21 degrees with a wind chill factor of 10 to 16 degrees. Next Chuck Schumer Demands DOJ Probe: Did Acting AG Matt Whitaker Share Mueller Info With White House?